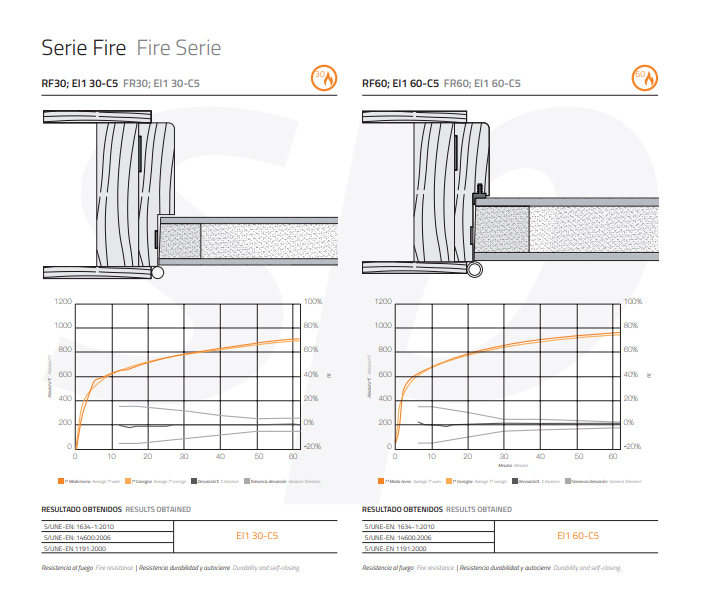 In which projects are interior fire-resistant wood doors installed? A client asked us a few days ago what projects we have installed for interior fire-resistant wood doors. Fire doors and FR doors are particularly resistant to fire which means they take longer to burn and therefore lengthen the time needed by a fire to spread from one room to another. We all know the huge metal fire doors that we can find in garages, discos, cinemas, shopping centres and public buildings. Aesthetically they are not a good option for other buildings. At the end of the day, until a fire occurs and fulfils its purpose, a fire door is used as a door to access a room and should be integrated into the project’s decoration. 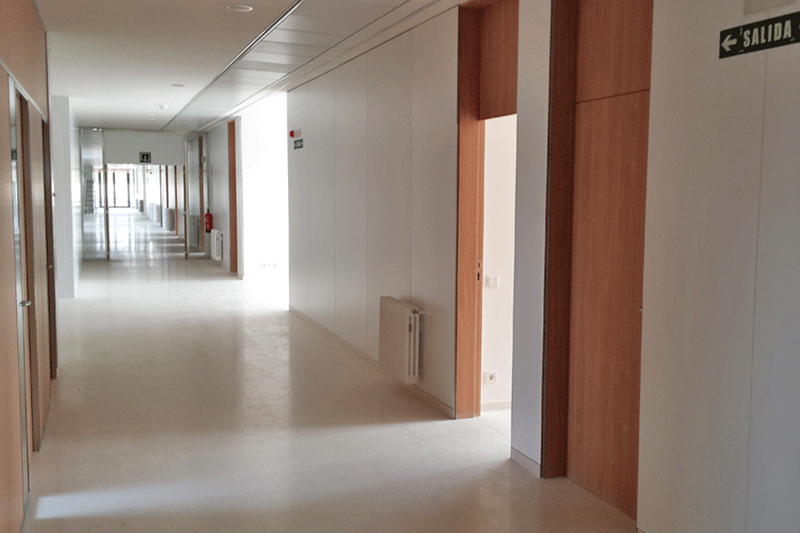 In these cases, when you need to comply with the requirements of current regulations applicable to construction in Spain (see more in this post) and once you decide to take care of aesthetic aspects, you use interior fire-resistant wood doors. They serve as an example of construction, reform, decoration and interior design projects in homes, hotels, hospitals, schools and offices, where we use interior wood doors, which also offer added resistance to fire. 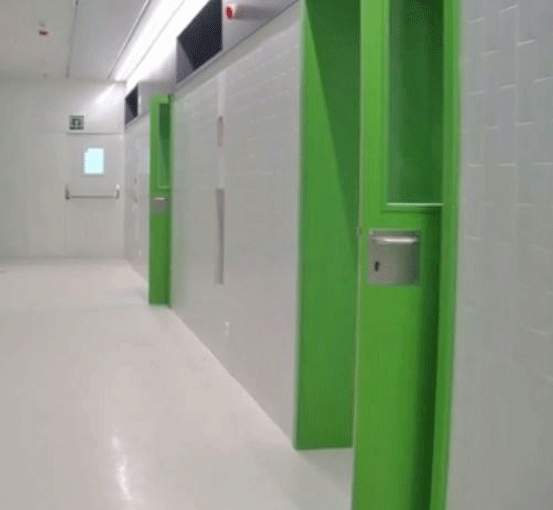 These wood doors for interiors can stop the spread of fire from one room to another for 30 minutes, in the case of FR-30 doors, and up to 60 minutes in the case of FR-60 doors. They are also available in MDB finishes for painting, laminated HPL Formica, veneered in wood or lacquered in different colours, to be an active part of the building’s decoration. – Doors for schools, universities, secondary schools and nursery schools: technical, acoustic, fire (RF) or anti-pinch doors.